Florida State is located between the beautiful Atlantic Ocean and the Gulf of Mexico, Florida is one of the most visited states. It is the world of splendid beaches, great diving, and diverse wildlife both above/below water and spectacular fishing. The cities range from huge, modern Miami to Orlando with endless fun for the kids of all ages. Florida States parks are spectacular, from the world-amazing Everglades to the underwater paradise of the Biscayne National Park. Although there are many cities in Florida state, these 5 cities are the most visited destinations of Florida State. Fort Lauderdale is located at 28 miles north of Miami on the southeastern coast of the Florida State, and Fort Lauderdale is one of the most popular tourist destinations, famous for its beaches and fantastic boating canals. It is the best place to start your exploration with your family. It is the home of posh outdoor restaurants, lively bars, fancy boutiques, and luxurious hotels. You can visit 1901 Stranahan House, the oldest structure in Fort Lauderdale still standing on grounds. 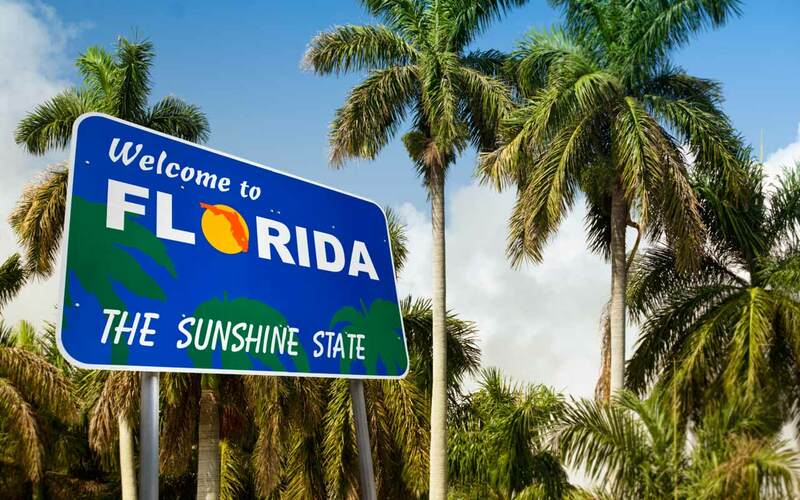 You can also check out the International Swimming Hall of Fame, take a hike or a boat ride with kids through Hugh Taylor Birch State Park, and go to the NSU Museum of Art Fort Lauderdale to see what the local artists are doing in Fort Lauderdale. Fort Myers has historical background. It was a fort built to protect the settlers from the Seminole Indians on the banks of the Caloosahatchee River. A today’s Fort Myers is a well-known commercial center, a gateway to sunny southwest Florida and a place that attracts thousands of visits to its fantastic beaches. There is always a lot to do in Fort Myers beside kayaking, swimming, snorkeling, and relaxing on the sand. In downtown, you can visit the Sidney and Berne Davis Art Museum. Take your kids to the Lakes Regional Park to ride a miniature train, or let them show their imagination at the Imaginarium Science Center, an aquarium and science museum. Don’t forget to take a travel guide to visit the Edison and Ford Winter Estates. On the Atlantic coast, Miami is a major American city of Florida State and seaport at the southeastern end of Florida. A city full of colors, unique neighborhoods, visitors will for sure love the pastel-hued art deco architecture of the Art Deco district, the music at Little Havana and Latin energy the fancy luxury hotels and fabulous beaches at Miami Beach, and unique shopping at Coconut Grove. You will find someone of the best country golf courses here in Miami. And all around is the sea, with opportunities for amazing deep-sea fishing, snorkeling, sailing, boating, and diving as well as watching dolphins and other stunning marine life. Orlando is a city in central Florida, a big playground for kids big and small, known as the World Theme Park Capital hold up to dozen theme parks. There is Walt Disney World, featuring the Magic Kingdom and Epcot, Universal Orlando with Universal Studios and Islands of Adventure, the Wizarding World of Harry Potter, SeaWorld Orlando, Discovery Cove, and much more. If you want to see a different side of Orlando, go on a boat and visit the vast Everglades. You can see and enjoy Kennedy Space Center bit away from Orlando near to Port Canaveral. Orlando holds a lot of great museums, such as Ripley’s, Skeleton’s Museum, and the Orlando Science Center.